I'm finally catching up from being in Miami for most of last week. It has definitely been an adjustment going from 80s to 20s & 30s...ugh...summer get here. So anyways the other day I was in West Elm and could not get over how amazing all of their new pieces are....like AH-MAZE-ING. 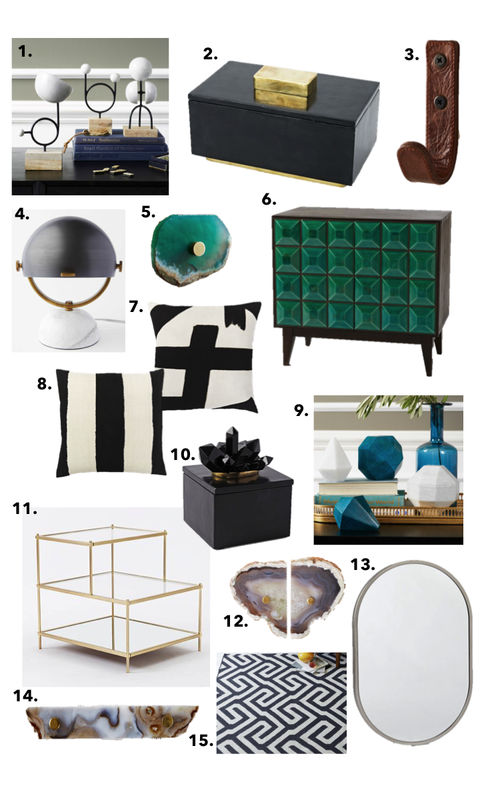 Lots of marble and natural stone...as well as my favorite cool combos of black, white, gold! Check it out...here are some of my favs..